With a proper application method, virtually any configuration can be uniformly coated, ensuring a consistent insulation barrier and this is especially true for busbars. 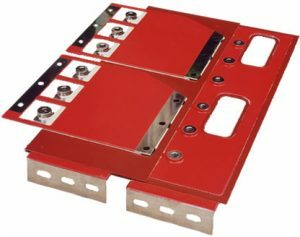 Electropaks approach that offers significant advantages over a wide range of busbar applications is epoxy powder coating, which is effectively used as a high dielectric insulator on copper or aluminum conductors. 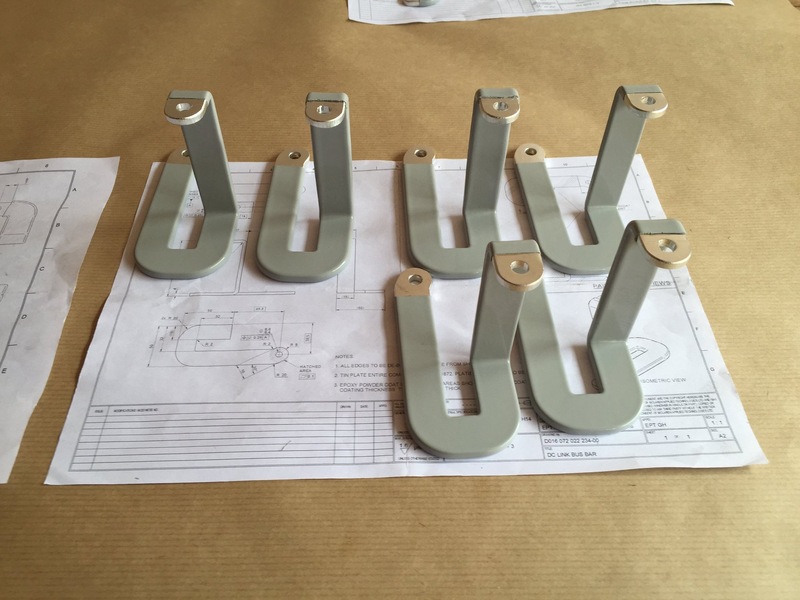 Perfect for busbar components. Epoxy powder coating is a free-flowing, thermosetting dry powder. Think of this process as a way of “melting” paint over a copper or plated copper surface to create a durable, protective surface with thickness ranging from of 6 to 120 mils or .006 to .120 inches. When the epoxy powder cures, a cross-link occurs increasing molecular weight and insulation capability. How is Epoxy powder coating applied to busbars? There are a number of methods used to apply powder coating, each with their own attributes. Two of the most recognized are fluidized bed and electrostatic spray.The fluidized bed process requires a pre-heat to the part. The part is then passed through a contained, suspended cloud of powder. The powder immediately adheres to the substrate and flows out. The last step in this process is a full cure in an oven. Dependent on time and temperature, powder thicknesses of at least 60mils can be achieved without geometrical concerns, although 20-25mils is most common.Electrostatic spray applications require a charged interaction between the substrate and powder. Parts are typically racked and grounded, then moved into a spray booth with the appropriate powder reclaim apparatus.The powder, stored in a hopper, is fed into an application sprayer that charges the powder to be deposited. 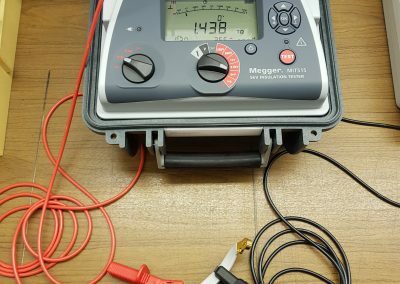 Amperage, velocity and volume are all accurately controlled. There is no pre-heating required in this process if only 6-8 mils are needed. Thicker deposits, 10mils and higher, may require a pre-heating process. However, there are limitations to the thickness that can be uniformly deposited based on the part geometry and powder formulation. 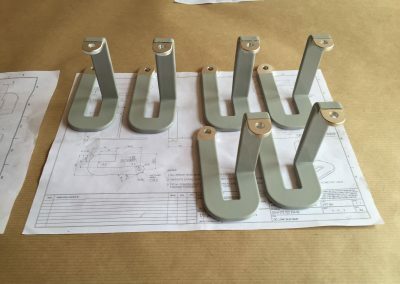 Upon completion of the spray process, parts are moved into an oven for curing.Using epoxy powder coating as a dielectric insulator for busbars is a proven and recommended technique for providing superior protection to electrical components. powder coated conductors offer significant advantages in a system’s overall efficiency by providing improved airflow, space optimization and reliability along with reduced voltage drop and component count. multi-level assemblies can be produced with quicker time to market and often lower cost. For the most efficient system optimization, discuss the options with an experienced Electropak engineer today and let us deliver your project on time and on budget, telephone 01772 251444. 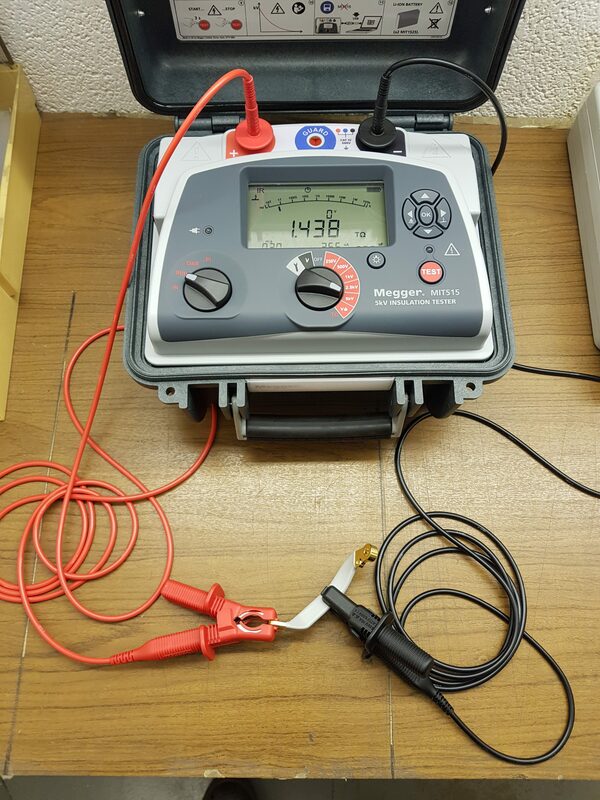 We now have the facility to insulation test busbars at 5000v D.C. using our MIT515 meter. Each Busbar can be individually tested and the resistance value in Tera ohms recorded on the C of C and on a label attached to the busbar packaging. View more about our HLG03R Expoxy powder coating.